As I write these words I can not tell you honored I am to be apart of such an important book. When I decided to be the President over the Creative Writers Club, it was just because of my love for writing. I had no idea that a little over a year later I would be in charge for getting an entire book together with over 15 writers. This idea to touch on sensitive topics such as racism, police brutality and the flood in Baton Rouge stemmed from the mind of our Advisor Clarence Nero. We have worked tirelessly over the course of 6 months or more to get this book finished. There have been times where I ran off of 2 hours of sleep just getting everything organized. I feel as if God placed these particular writers in the same path for reason. We tried before to publish but everyone wasn’t in agreeance with writing about such touchy topics. 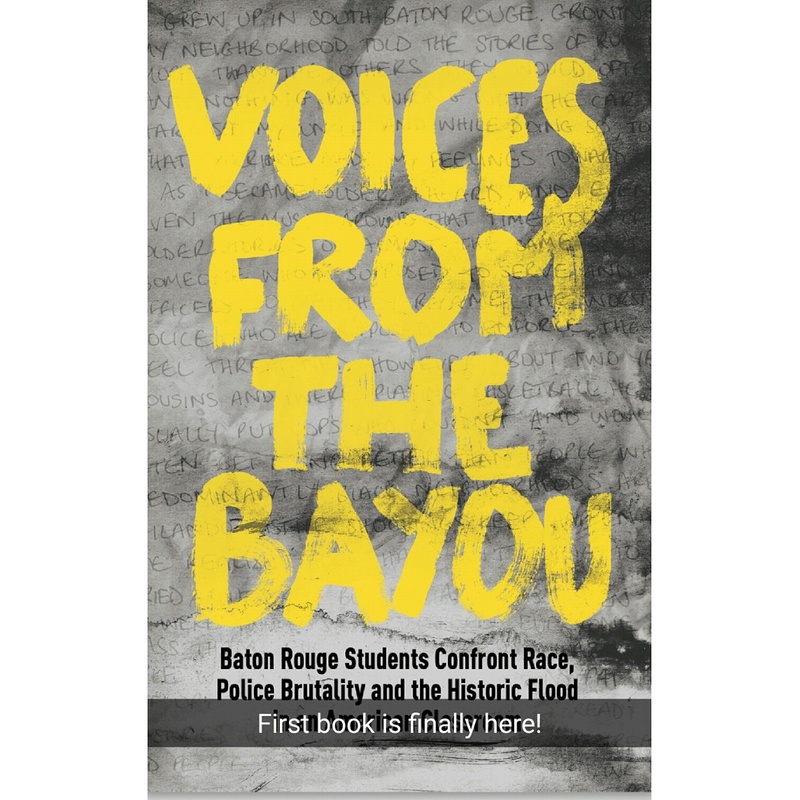 So I am proud to say that Voices From the Bayou is finally here. We think that it takes a lot of courage to put your voice out into the world. It takes passion to speak on things that most people are afraid to speak on. One of our writers said in his narrative that “It is not about exposure but what you are exposing”. I agree with this statement because so many people are willing to sacrifice anything just to be seen but being seen for what? Most people talk about those who are doing what they can to make a change instead of helping to make a change. In the words of Dr. Martin Luther King Jr, “Our lives begin to end the day we become silent about things that matter”. I refuse to die without leaving something important behind and remain mute. Do not let time pass you by and give up on your dreams. You should question your life if you aren’t doing anything to create change. It doesn’t have to be anything drastic but your voice matters. Our world will continue to fall apart if we don’t start to speak out. Equality matters and I think we can accomplish anything through respect and love. This book is dedicated to Alton Sterling, the Flood Victims, and the countless men and women who lost their lives, including slain police officers. With our words, we wish to spread light on the place you held in the world. Our prayers are forever with your families; our hearts are forever opened to your deaths. We would like to thank all the many people who helped out with this project, particularly the support from Baton Rouge Community College. It has taken dedication and consistency from everyone involved.